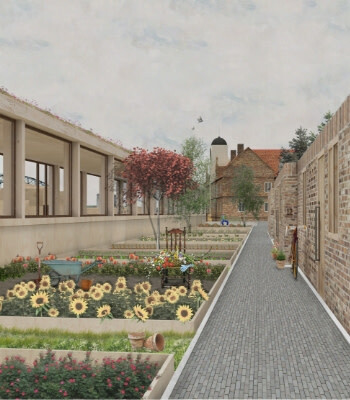 A Northumbria graduate’s ideas to breathe new life into a former hospital have won a prestigious national design award. Master of Architecture graduate Faye Sedgewick has developed a design proposal for the abandoned Grade II listed Keelmen’s Hospital on City Road, Newcastle illustrating how the deserted site could be transformed into successful, intergenerational living spaces - complete with shared gardens and leisure areas. The quality, imagination and feasibility of her project led to Faye being awarded the National Student Designer Award at the Association for Project Safety (APS) National Awards. The Keelmen’s Hospital, which was built in 1701, has been vacant for several years, having last been used as student accommodation. Faye’s design aimed to repurpose the building and its grounds, to create a living space that could tackle some of the challenges often faced by older people, such as social segregation, loneliness, and maintaining active and independent lives. Her plans illustrate how the building and its grounds could become a mixed-use development where older people and younger residents, including families, could live side by side; reflecting the historic and social legacy of the Keelmen themselves. Considerations of safety were integral to Faye’s designs, including plans to shield residents from the hazards and noise of the busy City Road. 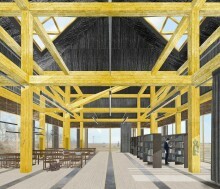 In a departure from the ‘standard’ model of elderly care, Faye’s ideas offer a mixed-use development made up of a range of housing types alongside creative studio workshops, leisure spaces and community and wellbeing facilities, with the aim of offering a better quality of physical, social and mental health for residents. The proposals are geared towards maximising health, safety and wellbeing, for example, buildings have been designed to optimise indoor air quality, daylight and the thermal environment to improve productivity, health and wellbeing. To support its elderly occupants, the doors and chimney stacks of the retirement bungalows would be separately coloured to allow residents to identify their homes easily, and the homes have been designed to be accessible and adaptable for all users. Visually contrasting flooring signals the boundaries between public and private spaces, and flower beds and green spaces improve air quality while also stimulating senses of the users; using the scents of the flowers and the sounds of the trees as additional orientation cues. The APS Awards are intended to encourage continuous improvement in design and recognise excellence in risk management within the design professions. These awards offer students a chance to demonstrate exceptional work, and to help drive up standards of health and safety across the construction industry. Peers, clients and regulators with expertise in the design and building industry award submissions on their overall quality of approach to safety for contractors, occupants and the general public. This is the third time a Northumbria MA Architecture graduate has fought off tough competition to win the top prize, with Simon Ward beating the competition in 2016 at a ceremony held at the House of Commons. Dr. Peter Holgate, Associate Professor of Architecture at Northumbria University, said: “In winning first prize for the APS Student Award, Faye has demonstrating her exceptional design skills, as this award attracts entrants from students of architecture from Universities across the UK. Northumbria’s Architecture courses have an outstanding reputation, with recognised strengths in student satisfaction and student employability. As part of a £52m investment in its campus, the University is close to completing the construction of new Architecture Studios at its city campus in the heart of Newcastle, to further enhance the quality of this highly-regarded course. Designed by the award-winning practice Page\Park architects, these facilities are due to open to students in early 2019 and will include over 1400 m2 of light-filled, modern teaching studio space and a new student hub. 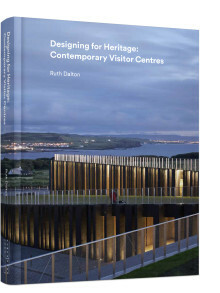 Northumbria University’s Head of Architecture has published a new book highlighting the importance and significance of visitor centres at major tourist destinations. 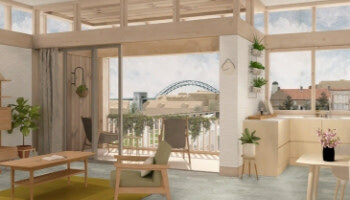 Northumbria University, Newcastle, has unveiled its stunning vision of a world-class new home for its flagship Architecture degrees.